Having unwanted junk, clutter or debris at your home can put a serious cramp on your style. A junk-filled, cluttered home can not only be annoying, but it can cause unnecessary stress on you and your family as well. The worst part, is that it’s not an easy thing to just get rid of either. 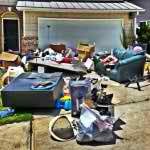 Removing and hauling away junk can be a huge pain in the rear, unless you know the secret that is. The secret to getting rid of unwanted junk and debris in Spring Hill is simple yet effective: The Stand Up Guys Junk Removal Crew! This is not a joke, The Stand Up Guys are a prized possession in Spring Hill, and they take care of the junk and hauling needs of everyone in the area. 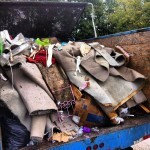 The people and businesses of Spring Hill have trusted The Stand Up Guys with their junk removal and hauling needs for years, and have never been disappointed. When it comes to getting rid of your junk, The Stand Up Guys make everything extremely simple. Basically, all we ask you to do as a customer, is sit back, relax, point out what you want gone, then just watch as your junk and clutter disappears. The Stand Up Guys take care of EVERYTHING. From the heavy lifting and loading, to the hauling and disposal. You won’t have to lift a finger, once you hire The Stand Up Guys that is. Another one of the reasons that Spring Hill has fallen head over heels for The Stand Up Guys is because of what we do with your unwanted items after we remove them from your home or office. The Stand Up Guys donate and/or recycle more than 60% of the items that we remove! That means more than half of everything we take from Spring Hill finds itself a new home. We believe that everyone and everything deserves a second chance, and we do not believe in overfilling the landfills with unnecessary things. Spring Hill is one of Nashville’s largest suburbs, about 30 miles south of the city. It’s actually located in two different counties, Maury and Williamson. Spring Hill is one of the more populated cities in the Nashville Metro Area as well, with well over 32,000 residents. You know a place is awesome when that many people just HAVE to be there! There is a lot of History behind the city of Spring Hill as well. It was first settled on and incorporated as a city way back when, in 1809. There was also a monumental battle fought there during the Civil War, The Battle of Spring Hill, on November 29th, 1864.